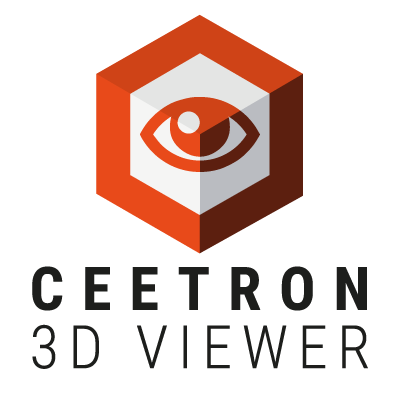 You can think of Ceetron’s 3D Viewer as an Adobe Acrobat Reader for CAE professionals, not only for standard FEA/CFD models, but also for high-performance, very-large-scale ones. 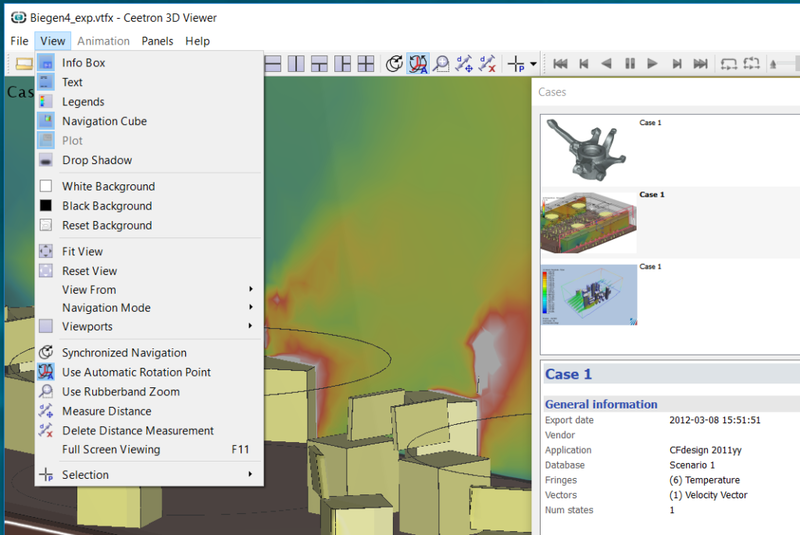 Designed for use by engineers and scientists who work with anything from standard to very large 3D models (10^7 finite elements, 10^6 geometry parts), 3D Viewer allows the presentation and distribution of 3D models and results generated by GLview Inova or one the many OEM simulator user interfaces built with Ceetron 3D Components, or on top of Ceetron Export Component. Put another way, as long as models and results can be exported as standard VTFx files, it really doesn’t matter how they were created. You can present them, interact with them, and transmit them to distant teammates, all without the use of licensed single-format viewers. 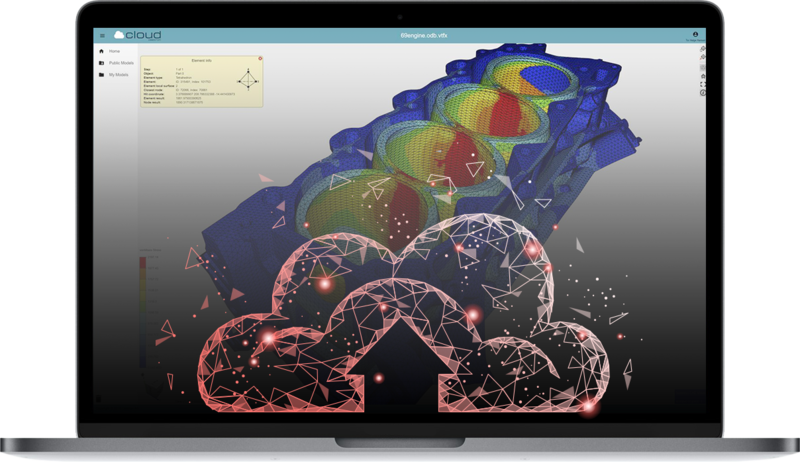 Best of all, 3D Viewer now comes with a ‘send to cloud’ button that allows you to store 3D models in the cloud, and use the returned URL to share them. 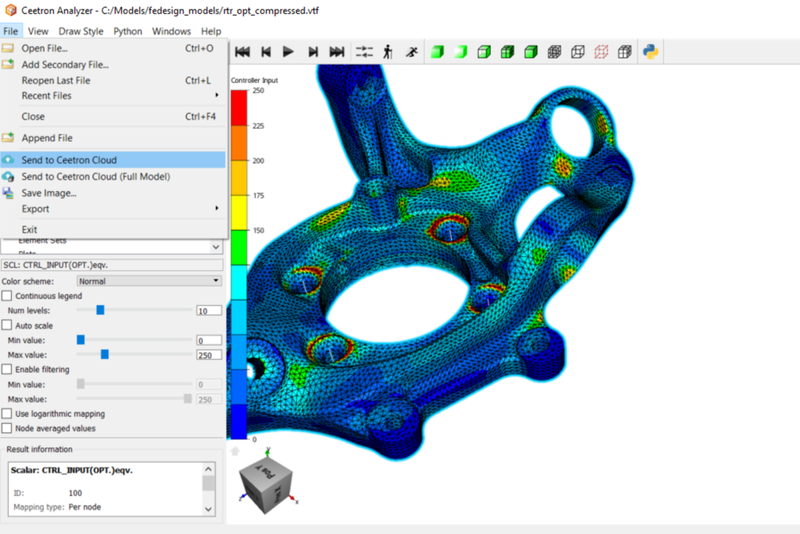 Just like Dropbox, just for CAE​ Professionals. And of course, free. Ceetron 3D Viewer lets you encrypt and password-protect VTFx files that contain model geometries, scalar and/or vector results, display attributes, animation settings, feature extractions (iso-surfaces, cut planes, particle traces), annotations, and more..
3D Viewer also supports writing results with relative values, a big advantage when trying to obfuscate critical or sensitive data. Our free viewer lets you easily present, document, distribute, and collaborate on just the visualizations of very large computations. You avoid all licensing complexity, bandwidth requirements, and learning costs with this very simple and elegant tool. With 3D Viewer, big projects become powerful direct marketing tools, letting potential customers know exactly the kind of tasks you can handle. You need GLview Inova, Ceetron 3D Components or Ceetron Export Component in order to generate files for Ceetron 3D Viewer.